At 7 knots, which is the speed the current owner predominantly uses her at, she burns 10 L / h.
Electric BBQ / Grill on Flybridge. Only in use since Feb 2017 this one is for new boat buyers who don't want to wait, in as new condition and with very low hours, this jeanneau Velasco 43 is ready for high season. Complete with Bow and Stern Thrusters. 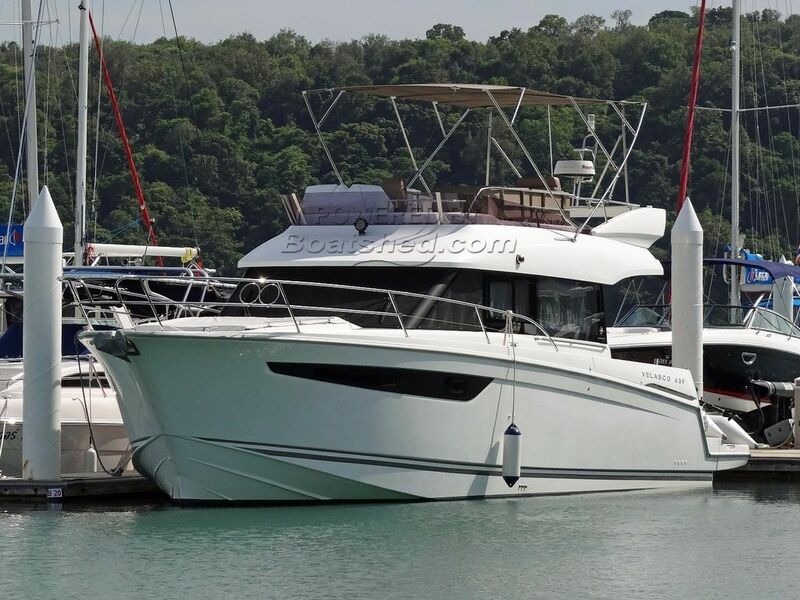 This Jeanneau Velasco 43 has been personally photographed and viewed by Alan Giles of Boatshed Phuket. Click here for contact details.